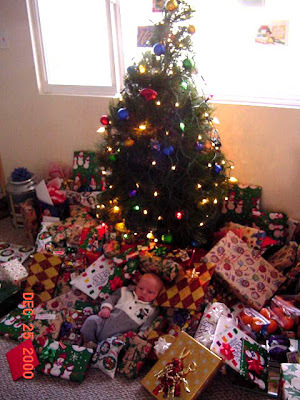 Here was Nathan's first Christmas. After nearly four years of thinking we'd never be able to have a child, Nathan was the very best gift we could ever receive. His name means "gift from God". Despite the pile of gifts around the tree, he was, and still is, the best one ever!